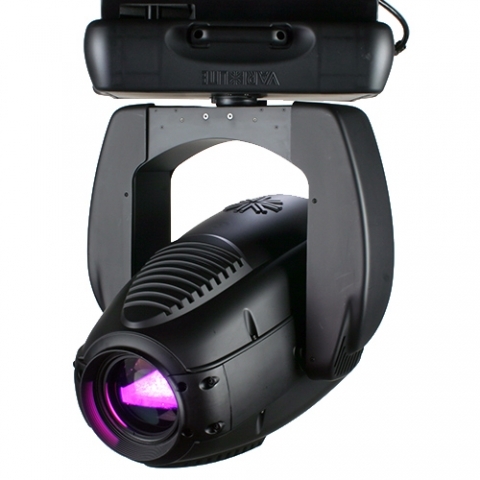 The Vari*Lite VL3500 Spot luminaire sets a high standard for imagery, beam control, color, and brightness. Its added feature is a four blade shutter mechanism that allows the blades to be operated independently or in unison on two planes for a clear and crisp image. It features a 6:1 zoom optics, CYM color mixing, variable CTO color temperature correction, a six-position color wheel, two gobo/effects wheels, a shuttter and separate dimmer and ultra-fast strobe mechanisms.